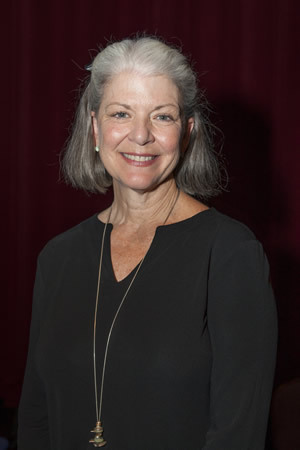 Samford University religion professor and researcher Dr. Penny Marler will give this year's Ray Frank Robbins lecture at the school Thursday, March 28 at 10 a.m. in Reid Chapel. Her topic will be "Train Up a Child: Sunday School and the Future of Southern Baptists." The public is invited free of charge. A nationally known researcher on various aspects of religion and life, Marler joined the Samford religion faculty in 1993. Her research on church attendance has influenced both the sociological understanding of religion and policy making in religious denominations. She is also a respected authority on the changing role of women in churches. In January, Marler received Samford's 2013 George Macon Memorial Award for outstanding performance as a teacher, counselor, mentor and friend to students. She holds a bachelor's degree from Auburn University, master's and Ph.D. degrees from Southern Baptist Theological Seminary, and a master's in social work from University of Louisville. The annual lectureship, established in 2008 to honor the memory of former Samford religion professor Ray Frank Robbins, focuses on the intersection of scholarship and Christian living.